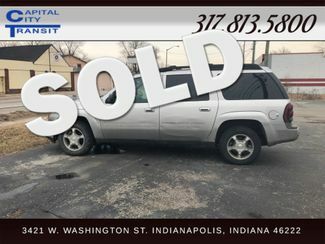 Up for sale is a 2004 Chevrolet Trailblazer. This car has a lot of life left to give. Leather interior, DVD Player, 3rd Row seating, and much more. The engine does need some work as there is a hard misfire on cylinder 3 and possible compression issues. It has not been looked at by our mechanics so we are not 100% sure what the issue is. It does run and drive and could be driven off of our lot. This was a trade in and are just trying to move it to a new home. Stop by or call for more information!